Mykonos is located in the northern half of the Cyclades islands just south of mainland Greece. The distance from the Athens port of Piraeus is just 90 kilometres. Mykonos is a beautiful island which is renowned for being both glamorous and chic. The Mykonos beaches are world famous. It is a place where you can choose to relax on beautiful sands or party and enjoy a jet-set holiday or possibly a balance between the two. There are plenty of things to do in Mykonos. Mykonos is also one of the most LGBT friendly places on the planet. Mykonos is a small island with a total area of just over 40 square miles. It is just 9 miles long and has a population of 11,000 people living on the island year around. 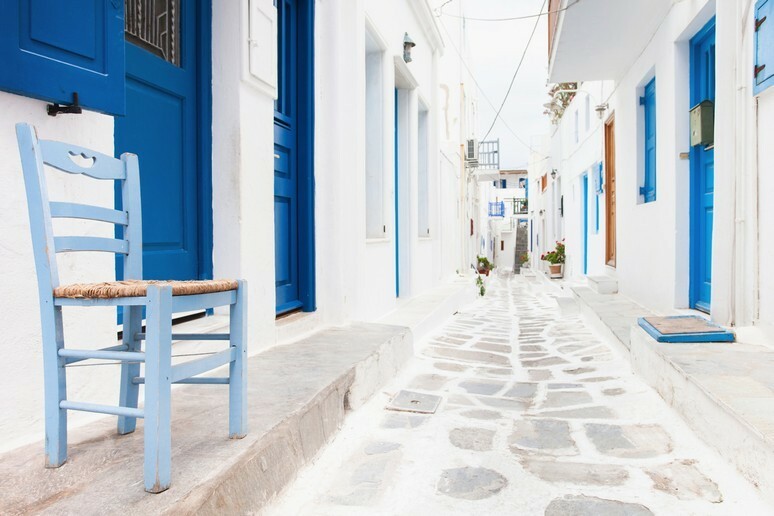 No matter where you are staying in Mykonos, it is easy to get around. The island is dotted with lovely authentic white washed villages and towns which are all beautiful and unique. What each of these lovely towns has in common however are their old and narrow cobbled streets forming a beautiful labyrinth or maze. 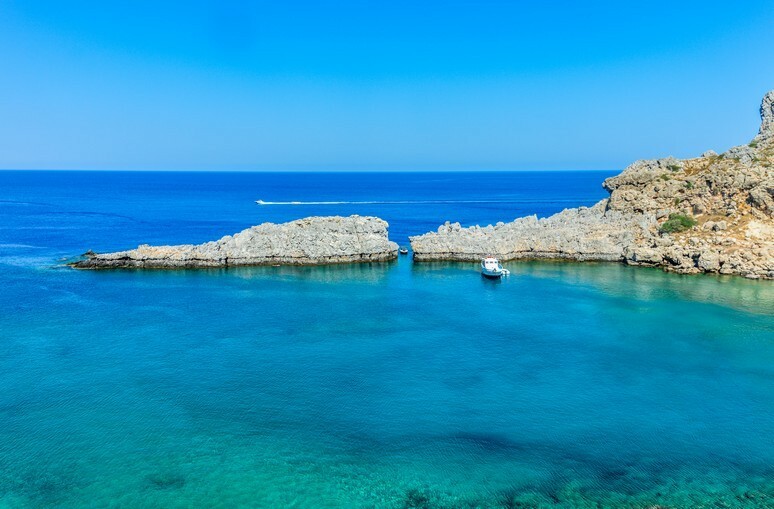 Wherever you are on the island of Mykonos, the sparkling blue sea is never far away. Mykonos has a wonderful balance to it. There are many very busy and popular beaches and beach clubs on the island but there are also plenty of hidden coves and secluded bays to enjoy. Despite its small size, Mykonos has more than 25 lovely beaches, some of which are very lively such as the two legendary beaches named Paradise and Super Paradise. Here, there are massive dance clubs that attract famous DJ’s from around the world and many will stay open until dawn. The central part of Mykonos, on the other hand, can be quiet, with stunning views and breathtaking scenery to enjoy. The landscape is a symphony of white architecture, narrow winding roads and interesting rock formations. 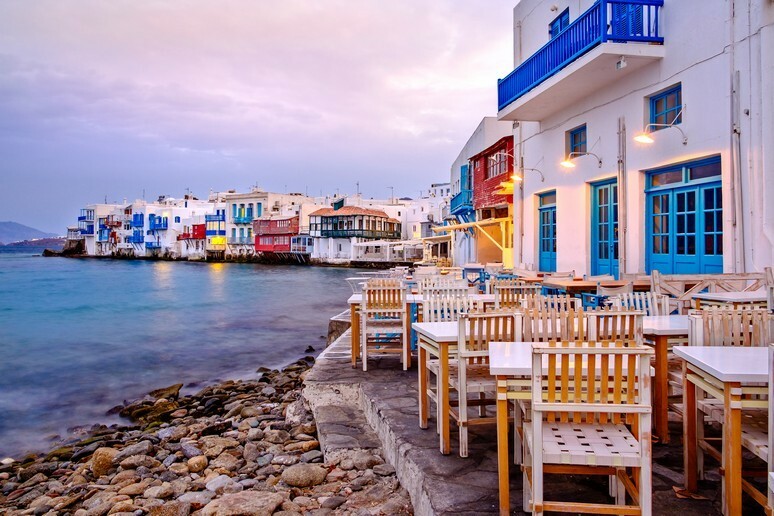 Mykonos also has a rich and interesting history. As a result of the islands proximity to Delos which is just two miles away, Mykonos became a very important supply island in ancient times. People during this era, travelled very regularly between the two islands of Mykonos and Delos. Religious law at the time stated that no citizens were allowed to be born or die on the island of Delos. During the reign of Alexander the Great, Mykonos became a commercial centre for maritime and agricultural trade. In 1207, Mykonos like much of Greece came under Venetian rule. This period lasted until 1537 at which time the Turks dominated the island. One of the redeeming and most recognisable features of Mykonos is its windmills. You will see these beautiful white structures dotted all over the island. The windmills were originally used for the production of wheat to make bread. Today they serve only as land marks and points of interest. Mykonos eventually gained its independence in 1821 following a revolution. During the 1950’s, modern day tourism began but it was in the 1960’s when such celebrities as Jackie Kennedy and Aristotle Onassis visited the island that it became chic and a very trendy and cosmopolitan resort. Since then, Mykonos has seen a lot of development with luxury Mykonos Villas and hotels. Despite this, the island has managed to retain its popularity, colour and character. It still attracts many A listers, celebrities and millionaires to its shores. The months of July and August can be quite hot and busy. The months of April, May, June, September and October whilst not as hot are also a wonderful time to visit. The spring time is particularly beautiful as the island is quite green and literally covered in a carpet of wild flowers. In summary, the Mykonos of today offers stunning sandy beaches, dynamic nightlife and is without a doubt the glitziest island in Greece. Exceptional Villas have many beautiful villas in Mykonos each of which have been personally inspected by us. There are regular flights from Athens international airport with Olympic Airways, Aegean Airlines and Ryan Air. The flight time to Mykonos takes approximately 45 minutes. From the months of May until October there are several charter and scheduled airlines that fly directly to Mykonos from European cities. Flights to Mykonos from Athens Airport "Eleftherios Venizelos" and "Thessaloniki"
The airport is located in the centre of the island in an area called Chora on the south east of the main town of Mykonos. Because of its central location, transfers to your villa are generally 20 minutes or less. Mykonos is located just 150 kilometres (93 miles) east of main land Greece. The island is part of the Cyclades that are located in the Aegean Sea. Consequently it experiences a fairly temperate climate year round. Mykonos also experiences quite high winds from the north and north east which can be very welcome in the high seasons months of July and August. The summer months of July and August are the hottest. July is also the month where the sea is at its warmest and it has the longest hours of sunshine each day. July days experience up to 14 hours of sunshine each day. The months of January can be relatively cold however with temperatures sometimes reaching a low of around 10 degrees Celsius. Mykonos experiences the most rainfall in the month of November with around 170mm falling. The other winter months experience roughly 135 mm and 165 mm of rain. Saying this, it doesn’t rain every day with most months having about 6 to 8 rainy days. Occasionally the rainfall can be quite heavy. Temperatures during the winter months can reach lows of between 10 and 13 degrees Celsius during the day and lows of 8 degrees at night. Sea temperatures at this time of the year can be as low as 15 degrees so not for the faint hearted! The winter months of November, December, January and February can also be relatively cold. We recommend the best time to visit between the months of May to October. The temperatures are hot but the cooling breeze is never too far away. Generally by May, the sea temperature will have increased to approximately 19 degrees with 12 hours of sunshine each day and temperatures reaching between 23 and 26 degrees Celsius with the occasional heat wave. Night time temperatures in the shoulder months can be quite cool, so it is wise to bring cover up at this time. May is also one of our favourite times to visit. As a result of the rainfall in March and April, the gardens and fields around Mykonos are a perfusion of wild flowers and it is stunningly beautiful. By July, the ground is more arid as a result of virtually no rainfall but the nightlife and beach club life gets more vibrant. In conclusion, if you like quiet beauty, we recommend May, parts of June, September and October. If you prefer vibrant night life and fun filled sunny party days with temperatures into the thirties, then the months of July and August are the best option. Whichever you chose, the cooling sea breezes are almost always present. The wind in Myknos is so famous, it is often called the “Meltimi Wind” and is very welcome during the months of July and August. The choice is yours and we will be happy to find you the perfect villa to match your requirements.